Copyright © 2009 Daisy Blue The Clown. All Rights Reserved. second place Daisy Blue The Clown (traditional children's clown). 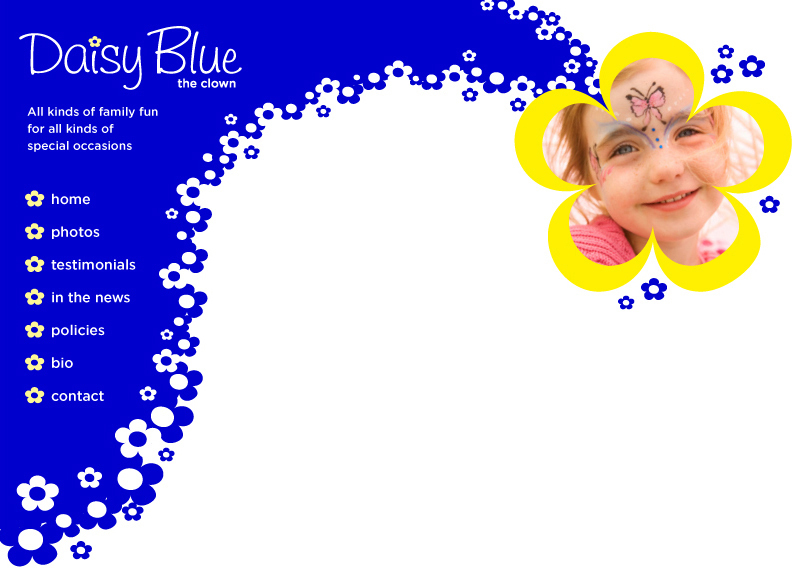 Daisy Blue was a featured attraction at Carr Park, painting lots of kids' faces during the festivities. entertainment" for a 5-day event celebrating the grand opening of the Shops at Fallen Timbers. Did you see Daisy Blue in the news? is always happy to share this news with others on this site!